The TSI PVM610 & PVM620 Micromanometers are simple to use and are hand held, making them easily transportable. The PVM620 is a rugged, compact, comprehensive Micromanometer that measures pressure, and calculates velocity and volumetric flow rate. 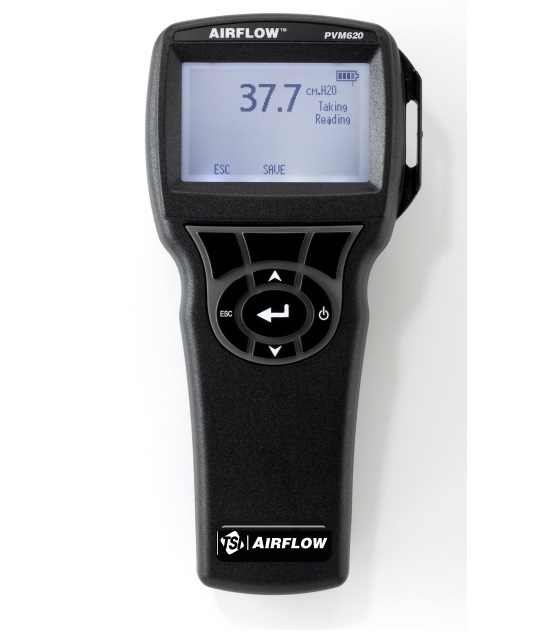 It can be used with Pitot tubes to measure velocity and then calculate flow rates with user-input duct size and shape. 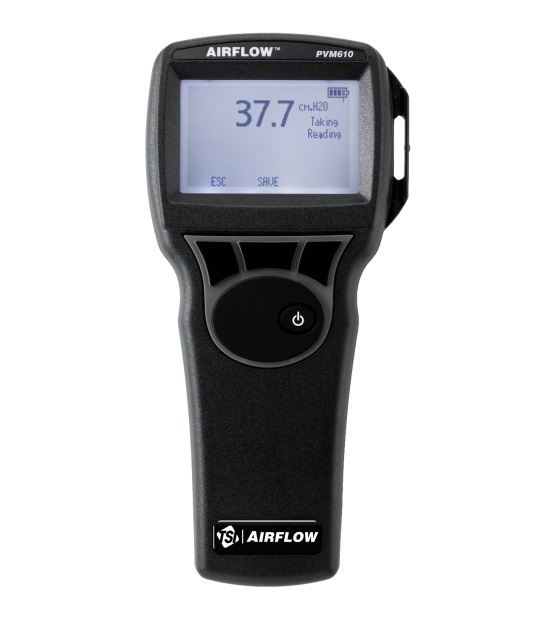 Premium features make it ideal for HVAC, environmental safeguards, commissioning, process control and system balancing.